Few websites are here to let you bypass sms verification from some websites asking you for an sms verification to get access to their website.Here we are going to provide you the list of best and free websites having the ability to receive your sms online and prevent your mobile number from receiving any SMS from a website.The list of websites we're going to share with you are tested by us and doing their job very well. So you're still in trouble to know what actually we are talking about? Let me explain briefly. Consider you just entered a web address and want to access that particular website, but it asks you to register yourself in order to get access to contents of that site before you see stuff in which you're interested. Imagine, in that process there may also an sms verification required. So there are lots of websites which let you bypass that sms verification (by receiving sms online) in case you don't want to receive sms on your mobile phone number. "In other words I think i can say that this is an alternative method to verify yourself by receiving an sms and entering the security checking code.But in real don't have to receive sms on your mobile phone, you just read sms in your web-browser and copy-paste the security code"
This is straight forward thing that a verification code is sent to the mobile number by the websites you're going to get access for verifying you whether you're a human or not, whether you're the real owner of the number you just entered there or not? They use this technique for their security purpose to prevent automatic registration on their site. Keeping these aside, these websites becomes very handy in such a time when you want to receive an sms from someone but you don't want him to know your mobile number. I think if you ask it from any other, he/she will tell it is impossible because they don't know about these web services. You can contact privately with anyone to receive their text messages online for free using the below sites. Also make sure that don't use these numbers such a services that needs verification later, such as Facebook, Gmail, because they're required that number in case you forgot the password and want to reset, so they'll send a verification code for it. So now i think is time to provide you the list of sites that actually we are talking about. Without any hesitation, you will be able to know what are these website for and what are their functions. This one is also just like the above one. ReceiveFreeSms is a powerful and great website having the ability of receiving your text messages online for free without any registration.As I mentioned before, this is just similar as the above so you've to select a number and then reload the page to get your received sms on the screen. 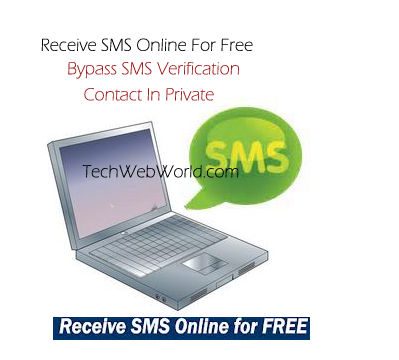 Receiversmsonline let you receive your sms online for free without having a mobile phone, You can use this to bypass sms verification or for some other purposes such as receiving sms from someone without enabling him to know about your mobile phone number.You can select any number from the available numbers and can use it for your purpose. That's it!!! So dear readers, in the above post, we tried to list the best, free and easy-to-use websites that allow you to receive text sms online and are good in their work. We tried our best to bring the most appropriate and work-able and hope these will work just fine for you. I recomend http://receivefreesms.com is great.